Microsoft just announced the Band 2, the company's second attempt at a wearable, and it looks to be a much better fit for your wrist than the original with a gorgeous AMOLED display and better design. But it doesn't come cheap. In fact it's near smartwatch-level pricing – in the UK it costs £199 but the original was also expensive at £169. 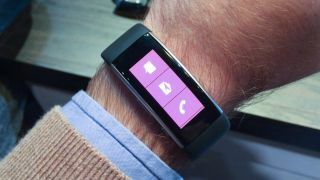 You can trade in your Microsoft Band for a discount of £70 off the new version. You can also trade in a Fitbit (that originally cost £99 or more) for a £50 discount or any other smartwatch or wearable (that cost £89 or more) for £40. At the moment it's a UK exclusive deal on the Microsoft Store and there's no word for the US. You can use the website to claim the money back on a pre-order - you just need to sign up, send it in and wait to receive your reward.